Good news: I’ve tackled things on my “To-do” list. Bad news: I’ve added more stuff. I’ve found that making lists really helps me, even with everyday stuff, normal stuff. So if I know I’ll have a busy day, or a busy week, I’ll set some time to write everything down and make a list; either on my phone or in my little notepad I carry with me. As those things are checked off, I also look at my “year’s goals” lists, to see what can get down when I’m done very important things—career wise. I’ve made one for acting and writing, just to make sure I’m not slacking off all year. I have certain goals I want to accomplish and I did pretty well last year, so here’s to keeping the tradition going! Here is the next batch of days. Enjoy! Busy weekend you guys, and I’ve gotta spend this week catching up. Luckily my work schedule has eased up this week so I’ll be able to get a lot done. With that said, here we go! Oh my gosh, can’t believe I fell behind! Work’s been busy and granddad is back home from the hospital (yay! ), so let’s catch up. Oh this one was hard. I’m such a book nerd and it was very hard to narrow down all the books I’ve read to select something. But I did come up with a couple to list. I’ve been so slow with my reading list lately, but I pledge to get better about it. Right now, I’m reading A Song of Ice and Fire: A Feast for Crows, Showrunners: The Art of Running a TV Show, Hand to Mouth: Living in Bootstrap America, and Gone Girl. I know I’ve been reading Gone Girl, but I’d hit some boring parts and I briefly put the book down. I know the movie is out and thanks to the Academy Awards, I know a piece of the 3rd act (so thanks for that!). But I’m gonna hang in there and finish it before I see the movie… that’ll be out on cable soon. So what are you guys currently reading? 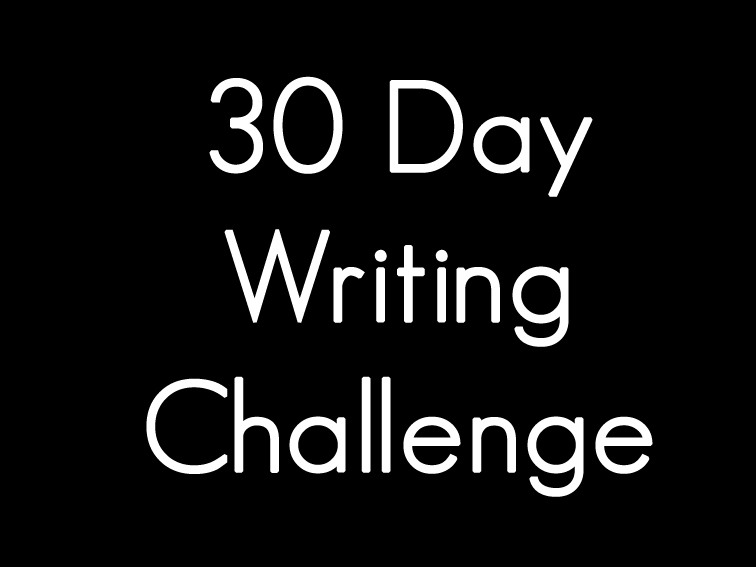 I was on Pinterest earlier today (shameless plug) and found a 30-day writing challenge. Despite being 9 days into a new month, I thought it’d still be fun. So here goes! Day 1: Five ways to win your heart.